Floor locks are an alternative to conventional wheel brakes to hold equipment in a desired location. They have a molded rubber base to prevent slipping. These are designed for use on level surfaces and are not recommended on inclines. 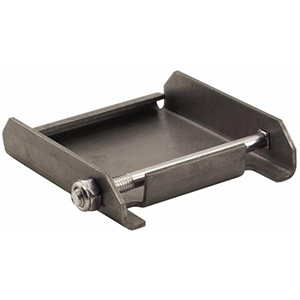 Quick change caster pads make changing casters quick and easy and are available for multiple size top plates. They are shipped unplated for easier welding to carts. Also available in stainless steel. 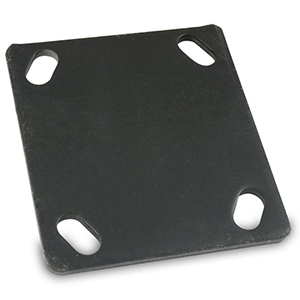 Flat top plates matching the caster top plates can be provided. 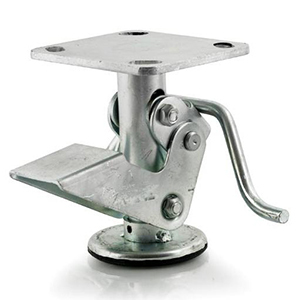 They can be used to increase overall height of the caster or as an attachment point when welded onto the cart. 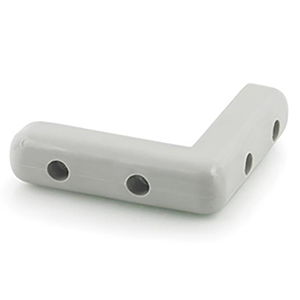 Rubber bumpers are used to protect both equipment and walls in your facility.